Sign Up for Winter Break Camps, Nutcracker on Ice, and more! Mayor Hagerty's Holiday Food, Book and Toy Drive runs through Fri., Dec. 14! Donate new, unwrapped toys, children's books, and non-perishable food items at convenient drop-off sites throughout Evanston. Donations can also be made online or by mail. 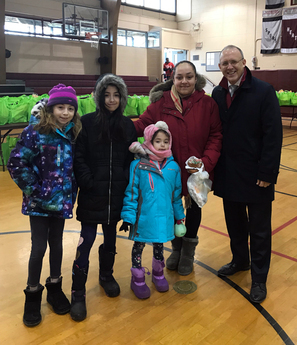 Thank you for bringing holiday cheer to all Evanston families this season. Register for Winter Break Camps! Keep your kids busy over their winter break with a variety of camp options, from Jedi Training Fencing Camp to Winter Wondercamp! 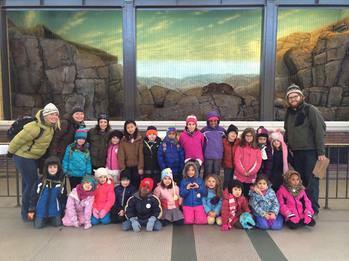 Camps for children ages 2-14 will be held at Chandler-Newberger Center, Evanston Ecology Center, Noyes Cultural Arts Center and Robert Crown Center. 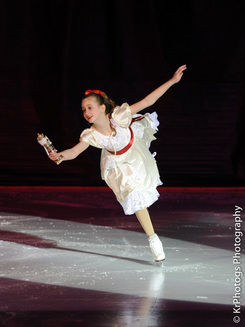 The 44th annual presentation of "The Nutcracker on Ice" features hundreds of skaters of all ages telling the familiar tale of Clara and her musical holiday adventures. Performances will be held at Robert Crown Community Center on Fri., Dec. 14 at 7:30 p.m.; Sat., Dec. 15 at 2:30 p.m. and 7:30 p.m.; and Sun., Dec. 16 at 2:30 p.m. Tickets may be purchased in advance or at the door for $9, general seating and $10, reserved, as well as by phone at 847-448-8258. Visit the Indoor Farmers' Market this Winter! 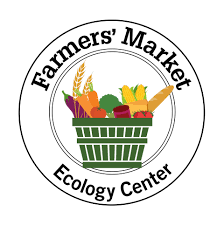 The Ecology Center Indoor Farmers' Market returns for the season with a variety of vendors selling wintertime goods! The market will be at the Ecology Center every Saturday, 8 a.m. to noon, until the end of April. Free parking is available in the lot at Bridge Street and McCormick Boulevard. Celebrate the holidays and share holiday cheer at Time Together, Evanston’s only public open gym for young children from birth to age 4! On Tues., Dec. 11, Miss Patti will have a special holiday sing-a-long and we will cozy up on our red mats to hear a reading of Frosty the Snowman. Families who bring an item to donate to Mayor Hagerty's Holiday Food, Book and Toy Drive will be thanked with free entry. 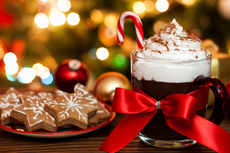 Time Together is held at Chandler-Newberger Center from 9 a.m. to 11 a.m.
Come take pictures with Santa and enjoy some delicious hot chocolate at Winter Fest at Gibbs-Morrison Cultural Center on Fri., Dec. 14, from 6 p.m. to 8 p.m.! Decorate your own cookies, create extraordinary arts and crafts, and enjoy pizza. Admission is free and open to all ages. 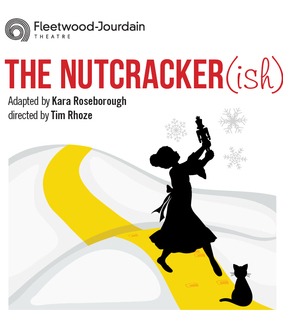 "The Nutcracker" meets "The Wizard of Oz" in Fleetwood-Jourdain Theatre's modern retelling of both stories at the Noyes Cultural Arts Center! Join Clara, Toto, the Snow Woman and the Nutcracker on their journey to have their holiday wishes granted by the mysterious Sorceress. Children of all ages will enjoy this magical journey filled with classical ballet and the beloved Tchaikovsky score. Performances take place December 22 through 30 on Saturdays at 7 p.m. and Sundays at 3 p.m. at the Noyes Cultural Arts Center. Tickets are $15 in advance or $25 at the door. This meeting will be held at the Lorraine H. Morton Civic Center on Thurs., Dec. 20 from 7 p.m. to 9 p.m. Meeting agendas are posted 48 hours in advance of the meeting. The board meets in the evening on the third Thursday of every month.